Cut the leek into 3 pieces and then cut them lengthwise into very thin strips. Heat up the sunflower oil in a deep pan and fry the leek. Toss frequently and remove from heat when they turn golden-brown. Let them dry on kitchen paper. In a big plate, add the valeriana in the centre and place the leek around it. Prepare the sauce by mixing the miso paste, water, olive oil, truffle oil, mustard, onion and pepper. Stir well to combine the ingredients. 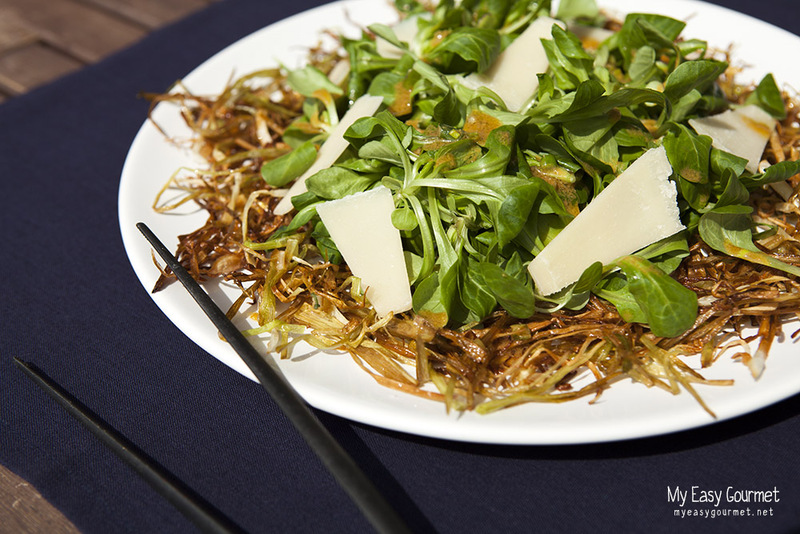 Add the sauce to the salad and garnish with the parmesan flakes. The photos are so beautiful. 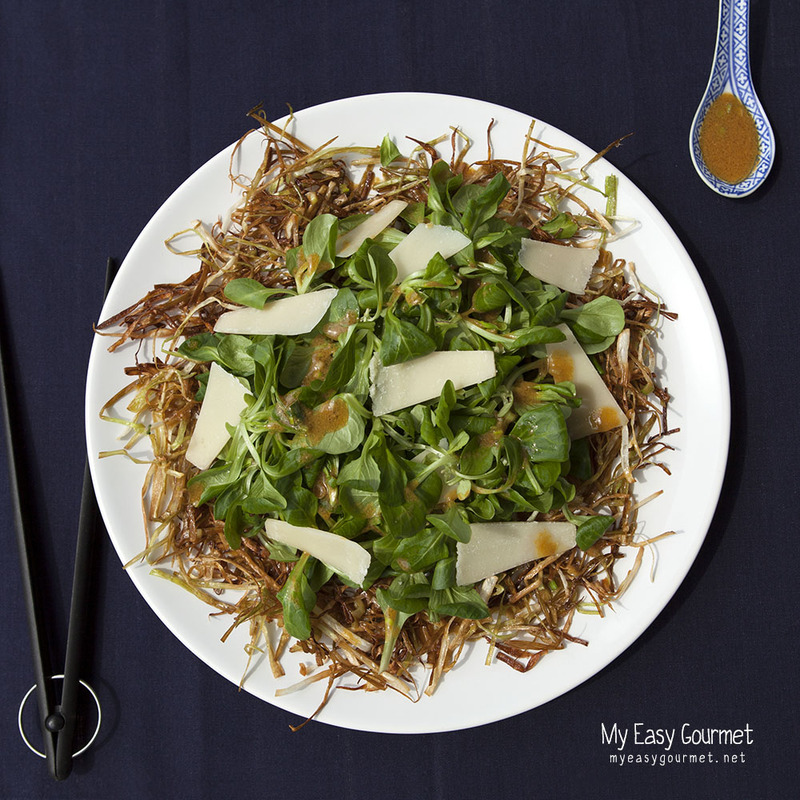 And who wouldn’t love a salad with those caramelized leeks? Yum. But I was also drawn to the use of valerian, which I remember from my days as a toxicology student. I’ve never seen it used in food, but I believe the root has the sedative properties for which the plant is known. Are all the greens in the center valerian? Thank you! Yes all the greens in the centre are valerian. 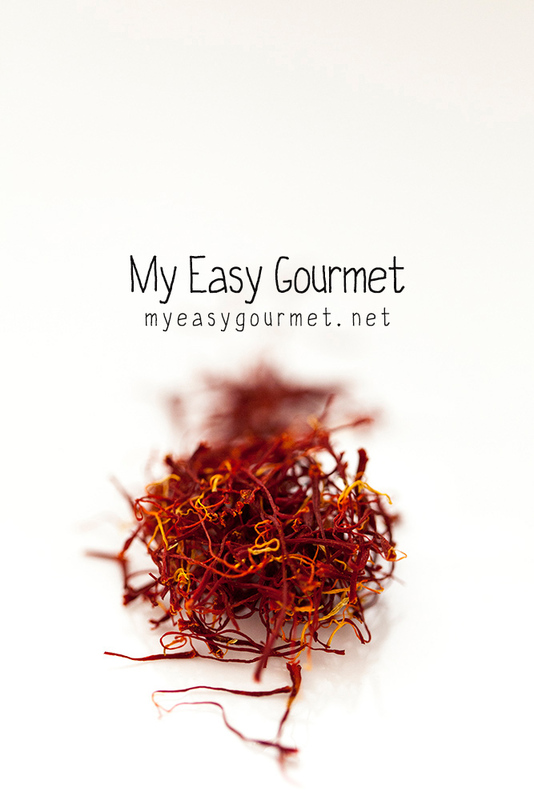 It has a delicate sweet taste and in this salad it can be substituted with baby spinach. You’re right, the plant is known for it’s use in medicine since the ancient years. Absolutely beautiful salad. It has been a while since I had caramelized leek, and it is a good time to have it like this! What a beautiful salad! And fabulous pictures, as usual!